Unsubstantiated business expenses and lost receipts can be a big headache for everyone involved in the financial process of the church. Accountable Reimbursement Policies are an acceptable way for churches to reimburse its staff for church-related business expenses. They can be extremely tax beneficial and I recommend every church set one up no matter how small you are. However, there should be some strict policies set up as well to ensure all reimbursed business expenses are properly substantiated. Without this documentation you run the risk of those reimbursed staff members being charged with tax evasion (if unsubstantiated business expenses not reported on their income) and losing credibility with your church members as a whole. 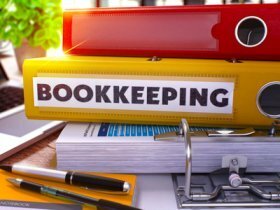 A well-known court case that substantiates the need for proper receipts and documentation and the dangers of unsubstantiated business expenses is in the United States v. Jinwright, Nos 10-5289, -5290 case. Even though that case involved unreported love offerings and other issues, it also involved unsubstantiated business expenses payments which the court concluded should have been included in their reported taxable income. Required to return any excess payment over actual cost of expense within a reasonable amount of time. Entertainment expense is often an area where there is not enough information recorded to “substantiate” the business expense. Note: Commuting miles (distance from the recipient’s residence to the church or nonprofit organization) is not an allowable tax-free business expense. If you reimburse for commuting miles, you will need to include and report the total amount on the recipient's W-2. Lost receipts can also be a problem. Your policy should state how much time the reimbursed recipient has to provide a receipt AND the consequences of NOT providing that receipt in the time allotted. 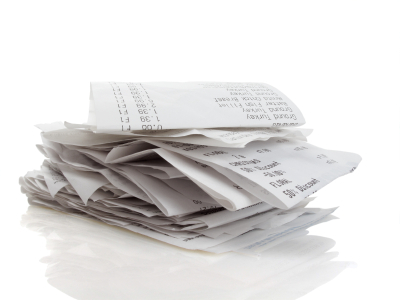 See tips on keeping track of receipts! Remember: Unsubstantiated business expenses reimbursements can possibly create taxable income to the recipient of the payment. Lost receipts can also be an issue for staff or volunteers picking up items for the church. Have them take pictures of the receipt with their phones as soon as the purchase is complete and then send to the appropriate person. At least that way you have a backup if a receipt gets “misplaced”. These are just a few of the measures you can put in place to make sure all expenses are properly documented and substantiated and the church is being proper stewards over God’s financial blessings. Please comment by using the form below. It’s easy! No registration required! Just enter your title of your tip, idea, comment, or question in the text box below. Please keep it as short as possible and still convey what your comment is about and make people want to click on it. but if you will click on the Notification Options you will get an email when I get it up. Please be assured that I will use your e-mail address only to notify you as you requested. Also...please be aware that with my “regular” job, building and maintaining three web sites, and my volunteer work at my church, I cannot possibly answer and comment on every submission. Youth Pastor Retreats-do you record as income?